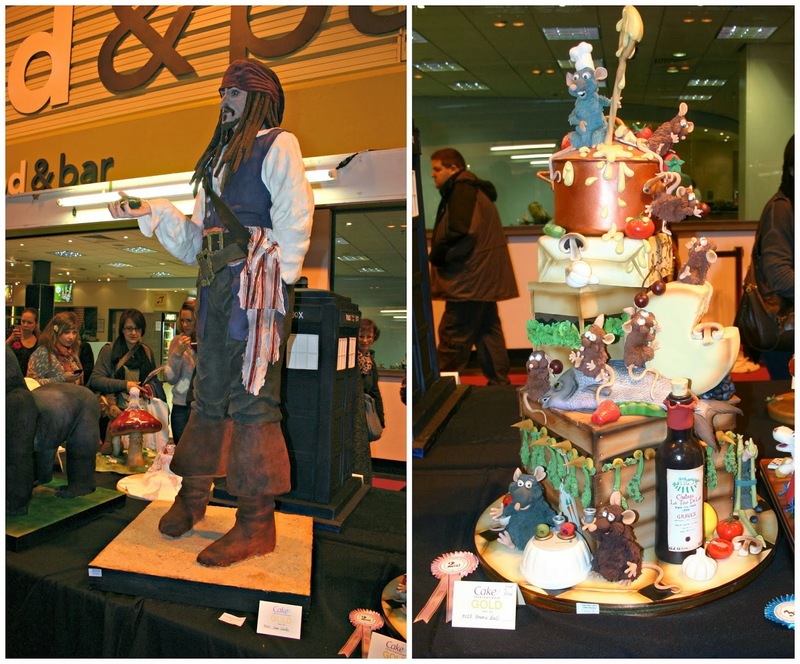 There'd been a lot of fuss in the media about the almost life-size Captain Jack Sparrow cake, so we headed down to the competition cake area first of all. Now, what you have to keep in mind is that not all of the competition cakes are 100% cake. 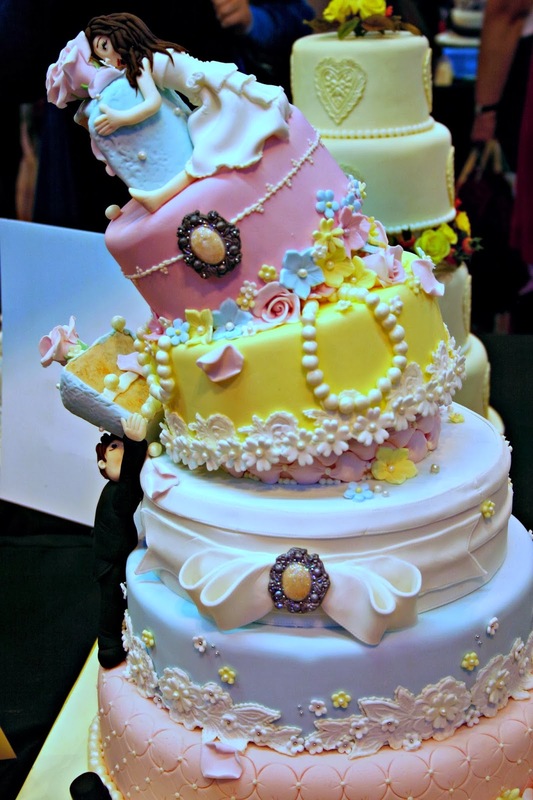 Some of the competition classes do allow for the use of polystyrene dummies, however, some--like the novelty cakes and handbags--are 100% cake and no supports are allowed. Even so, the level of skill displayed was astonishing! Captain Jack was very impressive--you can look at progress photos in Tasty Cakes' Facebook photo album--but the Ratatouille cake just edged it for me. It was more imaginative and playful. 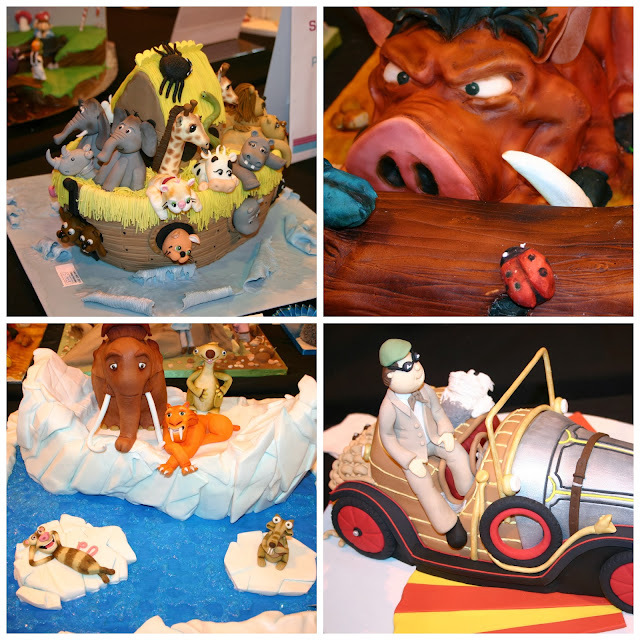 Both cakes displayed a lot of skill, but Ratatouille was just more fun. Who can resist a basket full of puppies? I think everyone who saw this basket of puppies did a double-take. They were incredibly life-like, especially the Labrador in the front. Just gorgeous. I do love a good novelty cake, and there were some real crackers on display. Pumba was incredibly detailed, and I loved his cross-eyed expression as he stared at the bugs. And Chitty Chitty Bang Bang! Now there's a film you don't see very often these days. I liked the bravery in doing a stylished version of the car rather than trying to make it ultra-realistic. 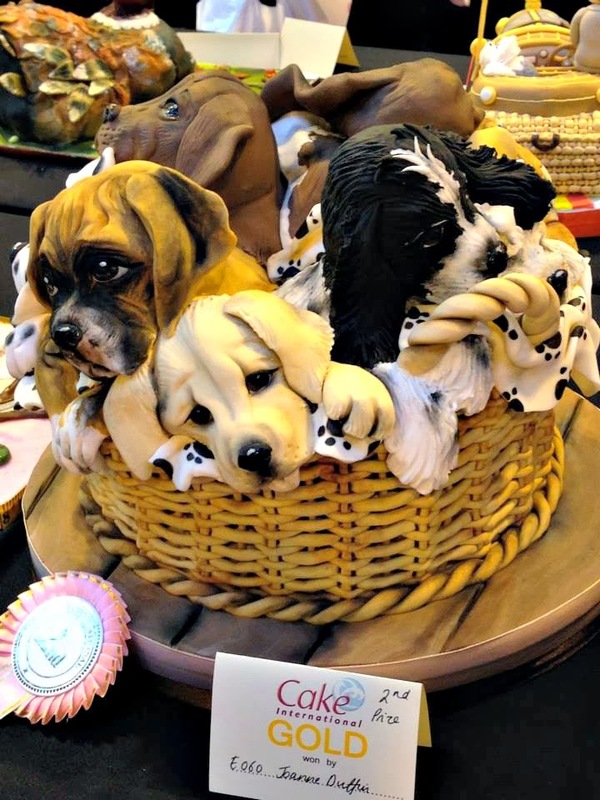 Very brave in a cake show where realism is highly prized. 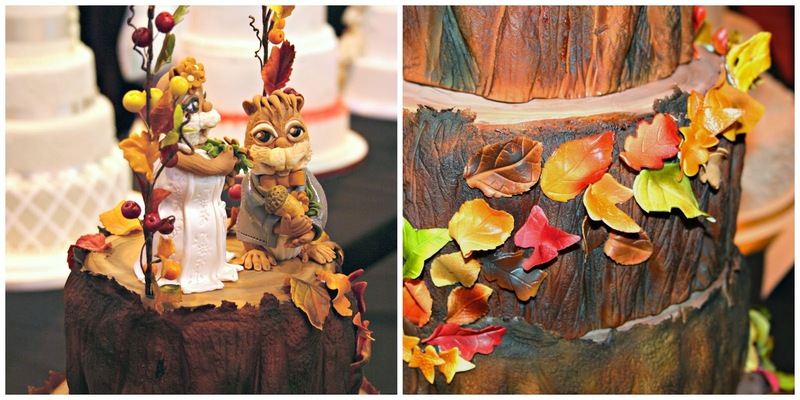 The wedding cakes were my favourite section of all. There were so many amazing cakes on display, all showing off a dizzying array of techniques. 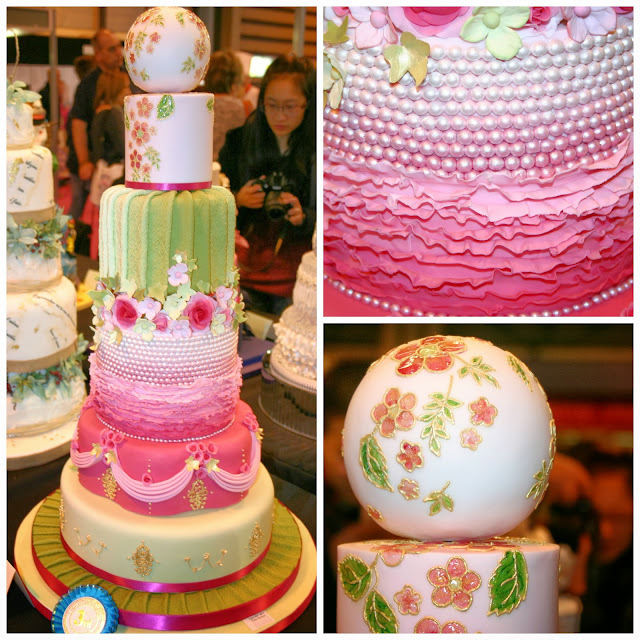 This gorgeous pink and green cake is possibly the prettiest cakes I've ever seen. I came straight home and ordered a bead/pearl mould so that I can have a go at re-creating the middle tiers. So. Much. Technique. It was my personal best in show. This was such a cute cake design. 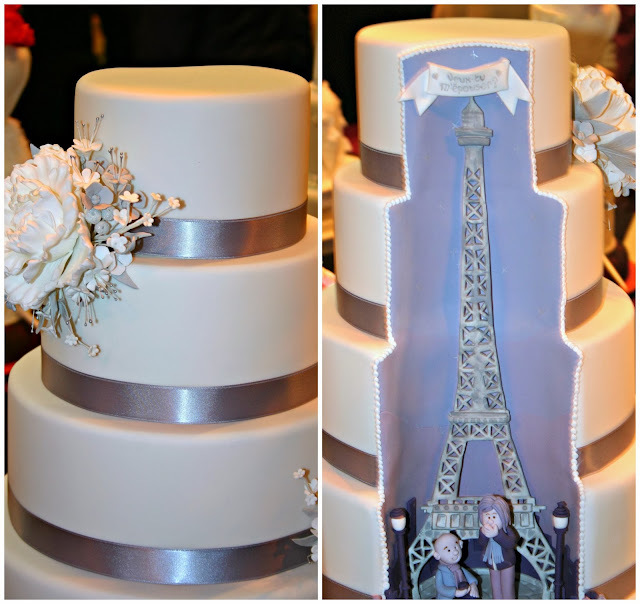 The cake, which looked absolutely normal at first glance, slowly revolved on a plate and then revealed a romantic proposal at the foot of the Eiffel Tower in a cut-away segment. Beautifully done! I really wanted to watch Mary Berry's demonstration, but quickly came to the conclusion that I should have taken a step-ladder with me. The cheer when she came on stage nearly lifted the roof. Next time I'll grab a seat earlier...much earlier. 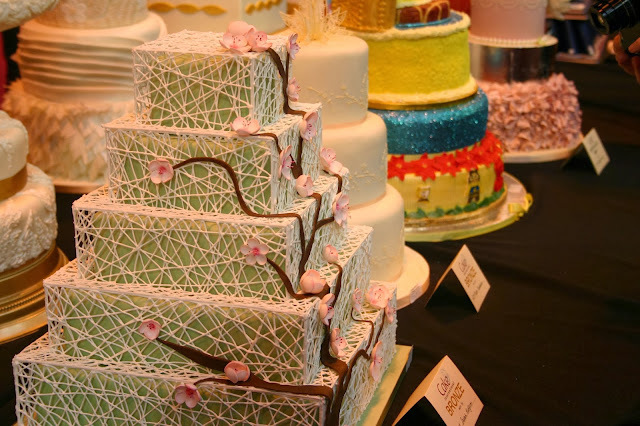 If I've whetted your appetite for cake and you want even more, Jenny, Alice and Bess also went to Cake International and have written lovely posts about the day. I'm already looking forward to going back next year! I'm really not a baker by any stretch of the imagination but I think I might just love Cake International. I loved it. 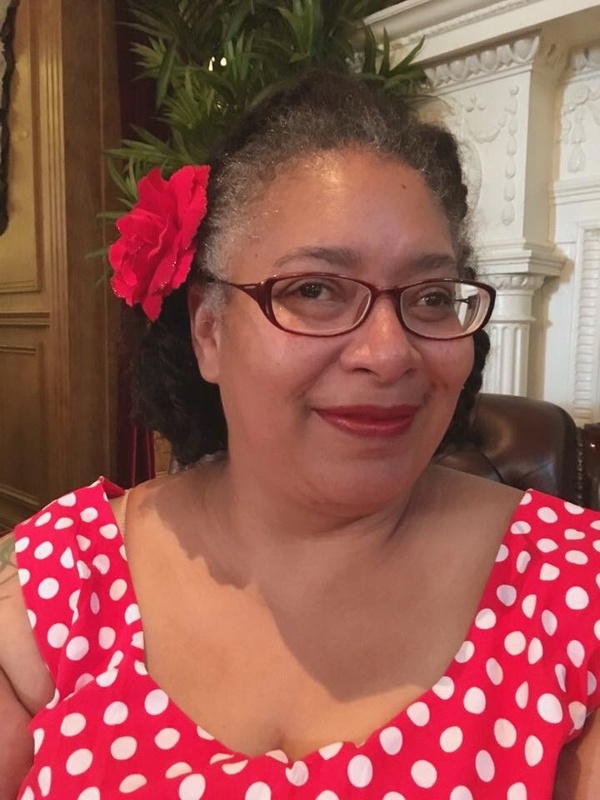 It was a great day out, despite the Look But Don't Nibble approach to the cakes! 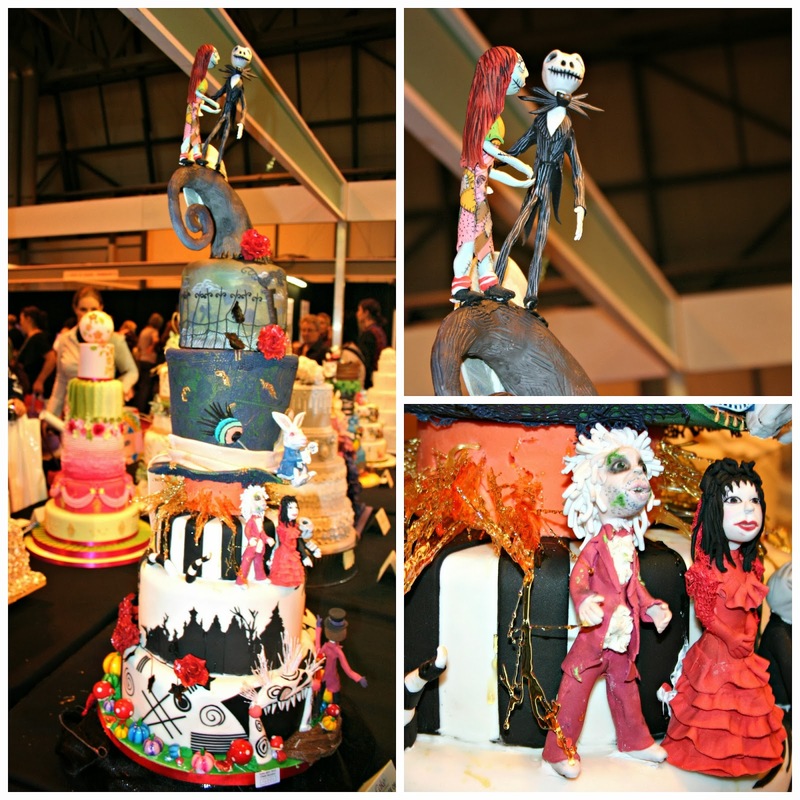 Ooh, and they had a Nightmare Before Christmas cake!! What a display! Each one impressed me.